The full-time professor of University of Portland speak in favor to Senator Laila De Lima. Prof. Christina Astorga was now popularly known online as 'Former Ateneo professor' who write for her rights on her official Facebook account. The professor of UoP had defended the controversial senator-elect Laila De Lima from the latest issue of proposing an impeachment for her because of an allegedly to be a protector of criminals and drug lords. Prof. Astorga started her post with a question, "IMPEACH SENATOR DE LIMA FOR PROTECTING THE CONSTITUTION AND THE LAW OF THE LAND?" She was citing the news where one of a concerned netizen who created an online petition to 'Change.org' to impeached the senator. "There is an online petition to impeach Senator de Lima for putting up a fight against President Duterte's method of crime fighting. The petition says that Senator de Lima is a hindrance to the crime fighting of the President," she said. "Those who say that a No to vigilante killing is a YES to crime and drugs are committing the fallacy of dichotomy," she added. The UoP professor strongly said this, "SENATOR DE LIMA IS FOR CRIME FIGHTING THAT IS WITHIN THE BOUNDS OF LAW AND JUSTICE." Then she compared the current president of the Philippines and the senator and asked this question. Prof. Astorga said, "The violation of the Constitution and of the law of the land is impeachable! 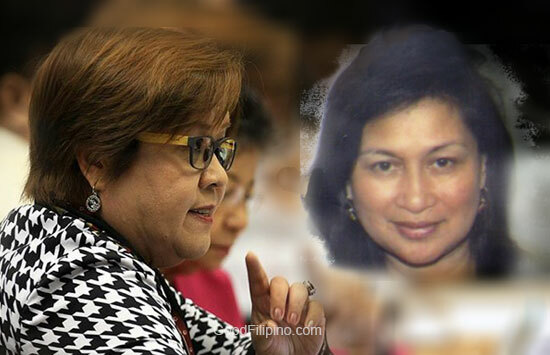 Who between President and Senator de Lima is violating the Constitution and the law of the land?" "And by the way, senators are not impeachable. Vigilante killing is unconstitutional and illegal. It is also against international law," the professor added. And now the professor frankly said this last statement in which she might intend to point out someone. She said, "Whoever sponsors and promotes vigilante killing should be impeached, and must be brought to the International Court for violating the international law!" "It is just a matter of time when the court of the land and international court will act on their sacred duty as defenders of the most basic human right to due process and fair trial. No leader can arrogate unto himself the power to go against laws that bind all people and all nations with impunity!" she added. Do you agree with the professor of the University of Portland? Please share your thoughts below. Comments or suggestions about "Professor of University of Portland defends Sen. LAILA DE LIMA" is important to us, you may share it by using the comment box below.